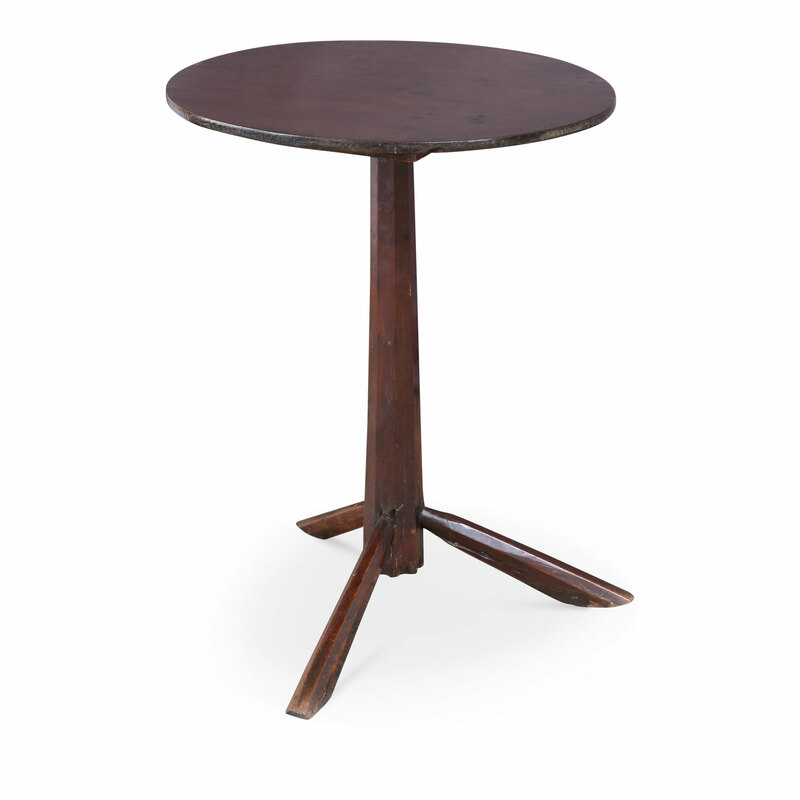 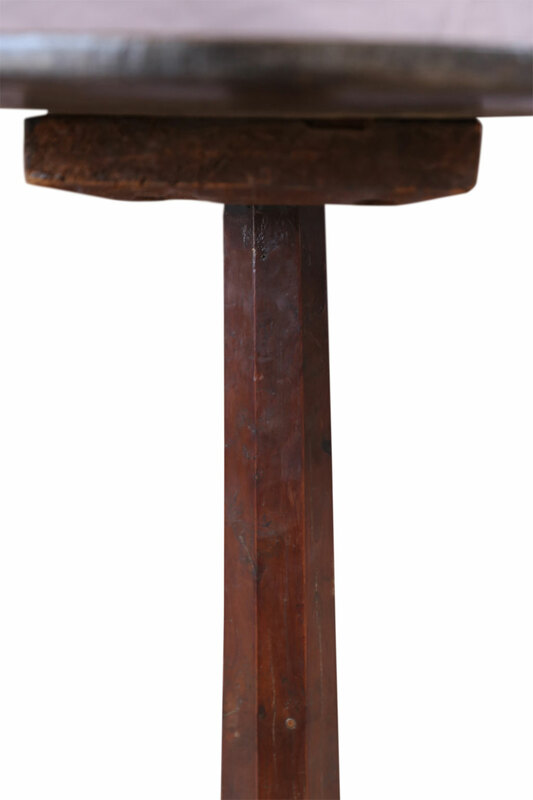 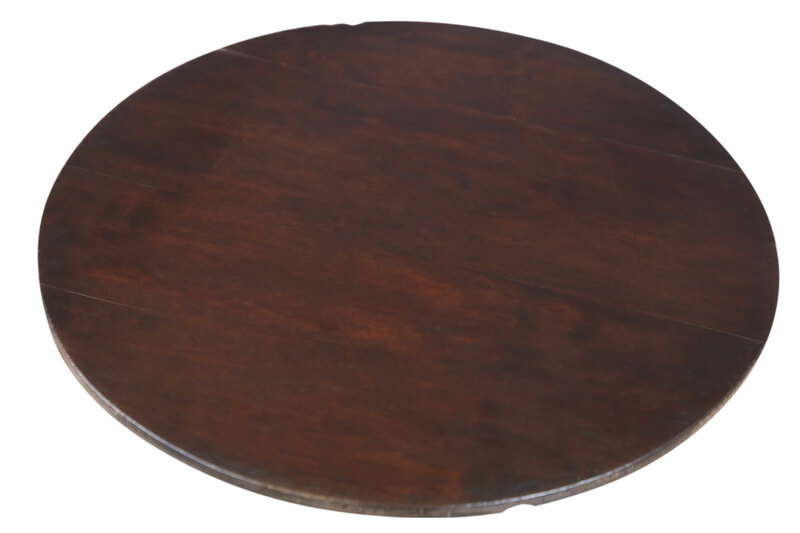 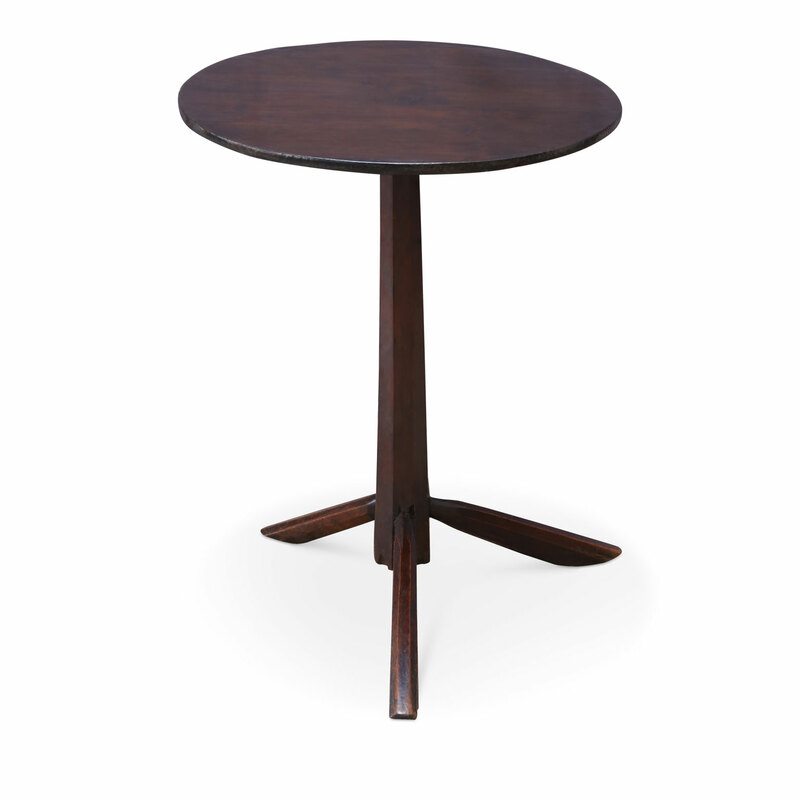 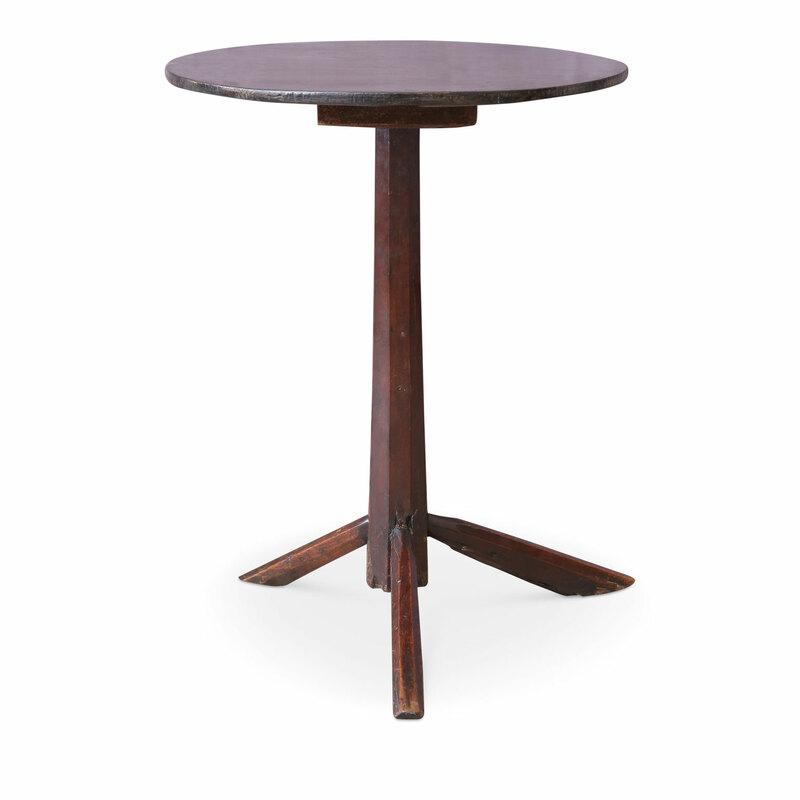 Unconventional vintage side table with a round top raised upon a tapered fluted pedestal supported by an asymmetrical tripod base. 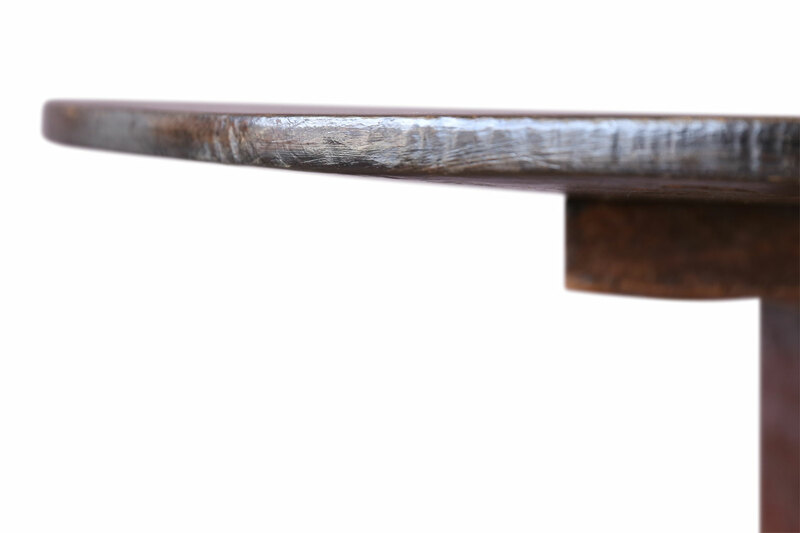 All hand-carved utilizing antique elements. 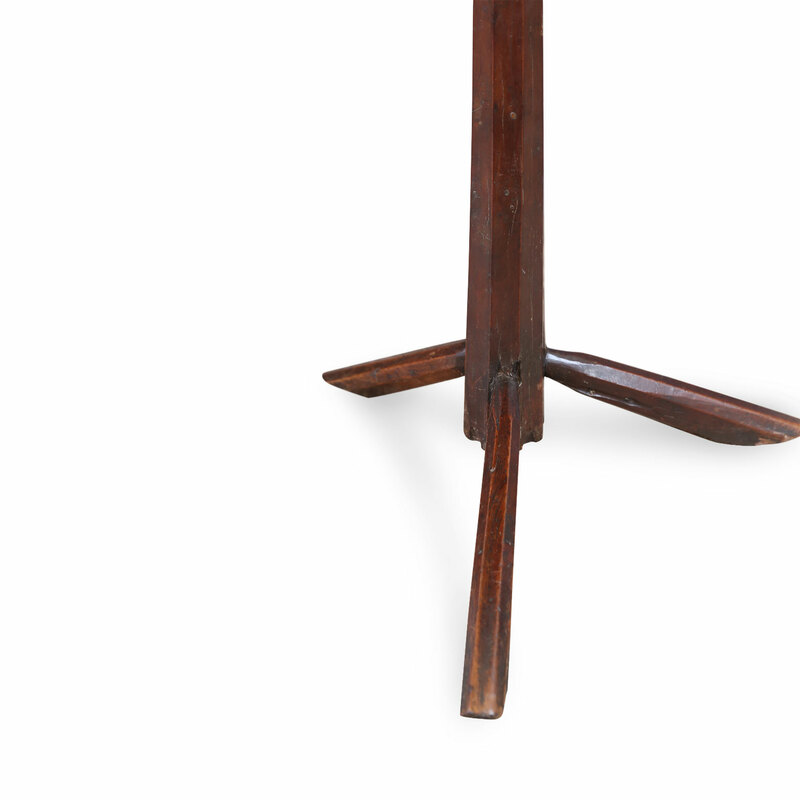 Condition: ExcellentThis is an early 20th century item, constructed and later restored, from 18th century and later elements.